Celestis Pets is a memorial service that honors deceased pets by sending them into space. The service is from Celestis, a company that began memorial spaceflights for deceased humans in 1995. 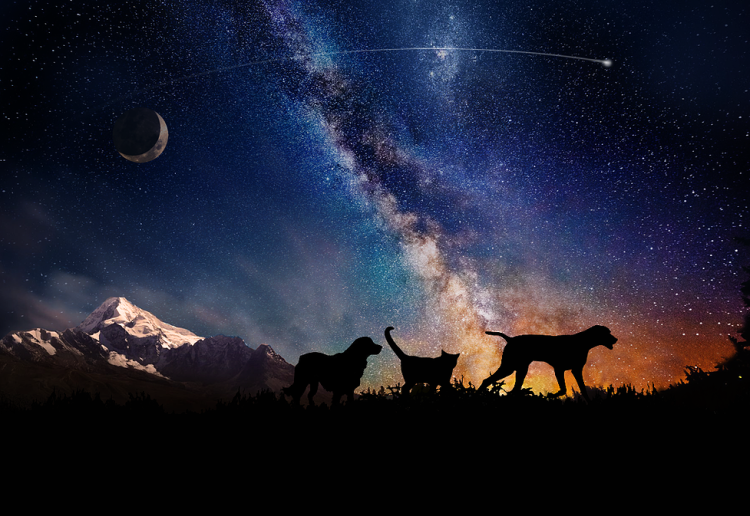 Celestis Pets offers four different kinds of services that send a symbolic portion of deceased pets into space: Earth Rise, Earth Orbit, Luna, and Voyager. Celestis Pets Memorial Spaceflights launches an engraved flight capsule containing approximately one gram of the cremated remains (or a lock of hair) of your pet into outer space on the mission of your choice. Family members and friends are invited to attend the launch and related activities, including facility tours.